Gamma Mini Flow Lab Use Compact Nitrogen Gas Plant is a mass manufactured small nitrogen gas plant designed for lab device application. It uses pressure swing adsorption technology, with this technology, nitrogen is separated from air as product gas. This psa nitrogen gas plant has small size, it has four wheels at the bottom, it can be moved from one place to another easily. The Lab Use Nitrogen Generator consumes a maximum of 115 slpm of compressed air to generate the required N2 flow. Air source is not included in this product. Minimum air supply pressure shall be externally regulated to 600 kPa. This Generator is provided with one full set of FESTO filters, the air supplied to the Generator still need to be dry and oil-free. 2.4.1. Quantity of N2 generate: the generator is capable of deliver 25 slpm nitrogen. 2.4.2. Delivery pressure: the generator delivers N2 at a pressure greater than 450 kPa. 2.4.3. O2 contamination level: O2 level in the N2 stream is not exceed 0.5%, and does not vary from peak to trough by more than 5% of the absolute concentration. 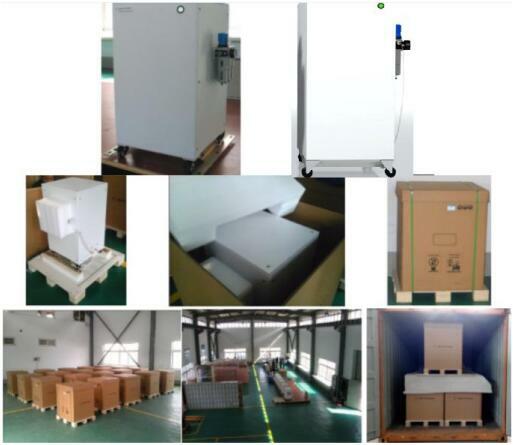 With package, the Generator size: 850 mm (Length)x 920 mm (width)x 1100 mm(height). With package, the Generator weight is less than 160 kg. • Maximum operating voltage at maximum temperature 30VDC. The solenoids on the gas control valves is 24 VDC. A typical operating cycle for the Generator is 1 start per day and then run for 8 hours per day, which is equivalent to 2000 hours of operation per year. Depending upon the particular site, operating time could be anywhere between 0 and 24 hours per day. When the power is turned off, the pressure vessels is maintained in the pressurized state by closing the two exhaust valves. Start up times means the time from start up to producing qualified nitrogen. The time to complete start up is less than 15 minutes. The two external gas connections on the Generator, Air In and N2 Out, are constructed from brass and are to suit ¼" (6.35 mm) OD tubing. There are labeling in English next to these connections, [Air In" and [N2 Out", as part of the rating label. Noise level from the Generator is less than 72dBa at 1m distance. This is achieved by fitting silencers on the exhaust vents. The Generator can operate with a mean time between failure of 5 years minimum. Looking for ideal Mini Flow Nitrogen Gas Plant Manufacturer & supplier ? We have a wide selection at great prices to help you get creative. 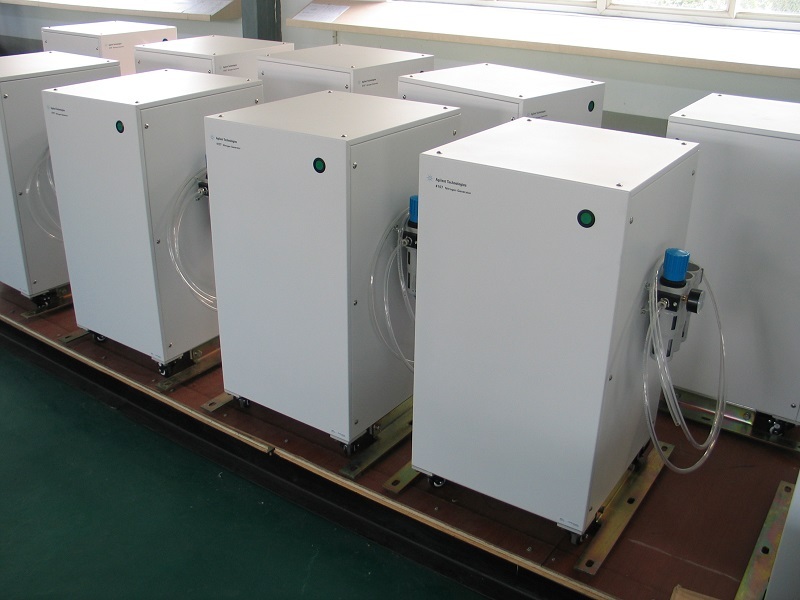 All the Lab Use Nitrogen Gas Plant are quality guaranteed. We are China Origin Factory of Compact Nitrogen Gas Plant. If you have any question, please feel free to contact us.